Are you looking for a new challenge and want to take on the world of passenger transport or haulage? If you are, then you need to call the team at Wayside Transport today on 01202 873 911. We have extensive experience and can offer the best CPC training Hampshire has to offer. Whether you are looking to do it privately or as a part of a corporate training programme, you can be sure we are the only team you need. When it comes to transporting passengers, it always pays to make sure you receive the best CPC training Hampshire can provide from the most reputable company in the market. In this regard, you will be pleased to know that our team has made the choice easy for you be narrowing down the logical choices to just one. Wayside Transport has a sterling reputation, which keeps growing and growing because of our consistently high standards and unparalleled success rates. Our experienced instructors will deliver the latest information and techniques to be safe and keep your passengers safe. This is one of the many reasons we are the only company you need to consider when making the decision of who to choose. What is CPC Training in Hampshire? There are different classifications of licence throughout the transportation industry, but no matter the size of the vehicle, transporting passengers requires you to have undergone CPC Training Hampshire. This is a DVSA requirement, which must be upheld if you wish to enter or carry on in the passenger transportation business. Whether you are an LGV (Light Goods Vehicle) or PCV (Passenger Carrying Vehicle), you will need to be able to pass the CPC training in Hampshire. It will give you all of the skills and information you need to be competent and exercise good practices throughout your career. After these are completed to a satisfactory standard, you will have passed the CPC training Hampshire and be awarded your certificate of Professional Competence. Why do you need CPC Training in Hampshire? This means that any vehicle with more than 9 seats or weighing more than 3.5 tonnes is subject to the driver passing CPC training to drive on the road. This is a directive by the European Union, which came into effect in September 2009 to maintain high standards of driving on the roads. It must be held alongside the relevant driver licence for the category of vehicle you wish to drive. Why Choose Us for CPC Training Hampshire? Here at Wayside Transport, we have a team of highly experienced, DVSA approved instructors for CPC training Hampshire. All of them are capable and knowledgeable in delivering the highest levels of tuition at our incredibly competitive prices. 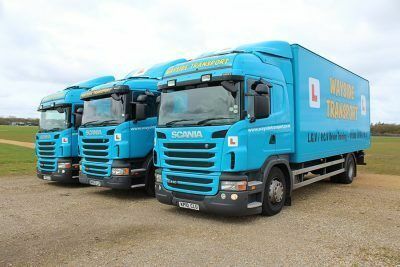 With many years of combined experience, we have knowledge of many areas of driving, including; LGV training, LGV Instructor Training, CPC Training, and PCV Training. No matter which area of the transport industry you would like to get into, our Hampshire CPC training is going to help make you a better driver. If you would like to book either yourself or your personnel onto a course for CPC training Hampshire, contact the team at Wayside Transport today on 01202 873 911.